November 27th, 2015. 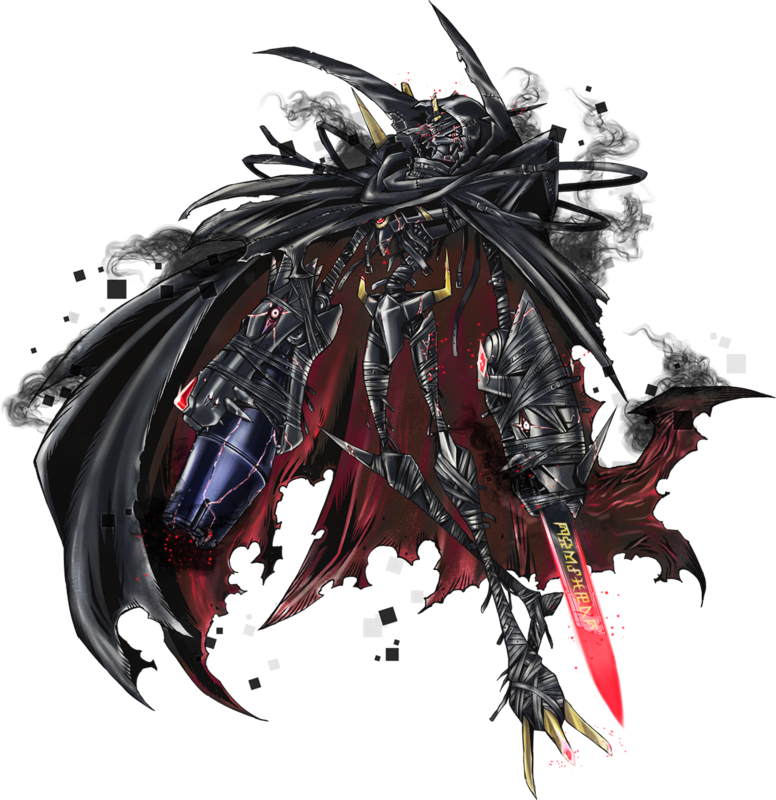 The Digimon World -next 0rder- title site has updated with a blank profile; that of Executor (執行者 Shikkousha), the black knight Digimon previewed in the most recent issue of V Jump magazine and teased at the end of the game's TGS2015 trailer. Now that it can be seen more clearly, his design appears to be based directly on Omegamon, but starved and with both Metal Garurumon's and War Greymon's heads bound. 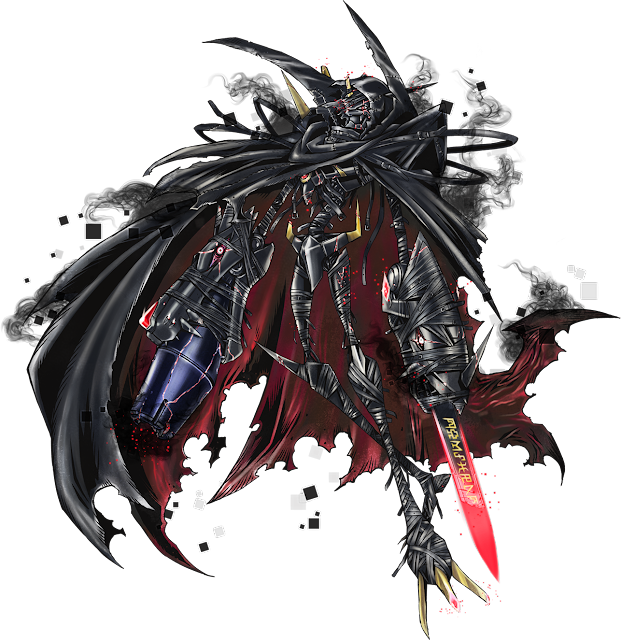 Executor is designed by the Digimon series' main illustrator Watanabe Kenji.